The illustrations contained on this website are a small sampling of the 1,000s of portfolio images that were created during my 30+ year career in the field of commercial illustration and design. 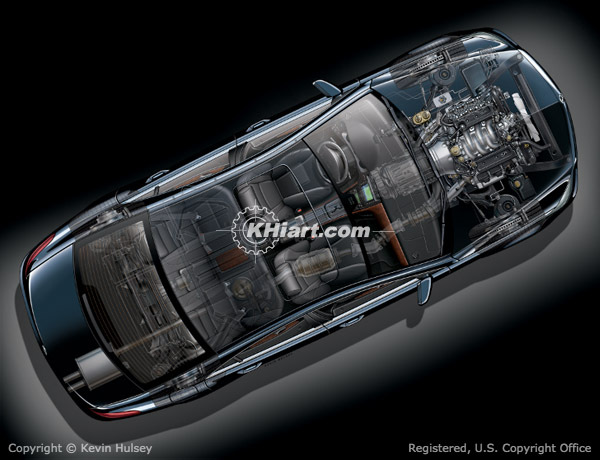 The majority of air brush photo-realistic car illustrations and digital automotive technical art in this collection were created by my art studio, KHI, Inc., although there are several samples on this site which were created by associates, collaborators and colleagues in the field. 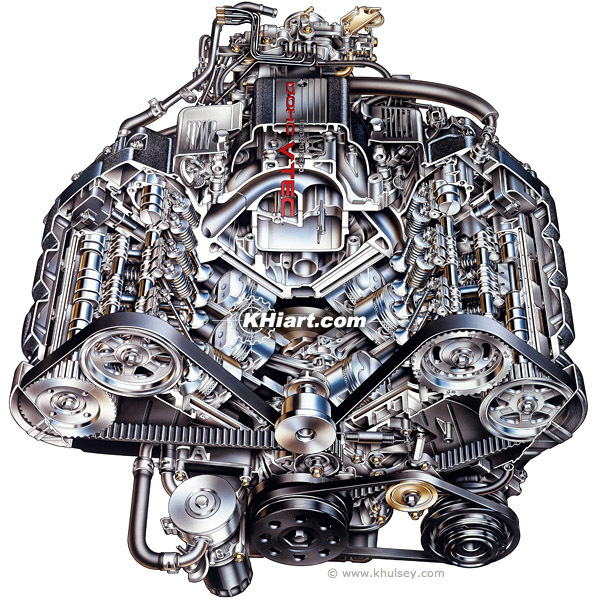 For over 33 years our studio has produced automotive illustrations and artwork for companies like Acura, Audi, Chevrolet, Chrysler, Dodge, Honda, Hyundai, Infiniti, Isuzu, Lexus, Mitsubishi, Nissan, Oldsmobile and Toyota, as well as many of the largest automotive parts suppliers and automotive equipment manufacturers such as Auto Zone, Bridgestone-Firestone, BorgWarner, CarMax, Carquest, Gates Corp., Goodyear, NAPA Auto Parts, Pep Boys, Honeywell, JBL, Lear Corporation, Midas and more. See complete client list for details.